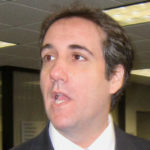 Over the past two years, I’ve been one of the many journalists who have tried to dig up, expose, and shine a light on the various crimes that Michael Cohen has committed on behalf of Donald Trump. I’ve repeatedly called for Cohen to go to prison. Some would argue that I’ve been harder on him than just about anyone. But after the events of the past month in general, and the events of today in particular, I’m not sure Cohen still belongs in prison. Hear me out. Three days ago, Michael Cohen made a court filing asking for time served. Because he got out on bail almost immediately after he surrendered himself, he’s never really served any time; he’s asking for a free pass here. As I explained when he first posted the filing, this is something of a negotiation. He asks for the most lenient sentence that he thinks won’t offend Robert Mueller, and Mueller will either agree to it or recommend something a bit harsher, and then the judge will decide whether to side with one of them or split the difference. But then Donald Trump decided to interrupt this process today. Not that I should get a vote on these things, but I was already on my way to being just fine with it if Mueller does decide to give Cohen a free pass. Why? Two words: Paul Manafort. This past week we saw the clear delineation between a cooperating witness like Manafort, who turns out to have been trying to sabotage the case the entire time, and a cooperating witness like Cohen, who is doing everything he can to help Mueller take Trump down. I don’t know Michael Cohen’s real motivation for doing this, and I don’t care all that much. Has he grown a conscience? Is he just trying to get off the hook, or get revenge? It could be some combination of all of the above. The point is that, even though doing the right thing was the only smart option that Cohen has left, he nonetheless did the right thing – and he’s playing a crucial role in the case against Trump, where we’re all the victim. Now we’ve got Donald Trump calling for Michael Cohen to “serve a full and complete sentence.” Why? It’s clear here that Trump is trying to scare other Trump-Russia people out of cooperating with prosecutors. Just for that, I’ve now decided that Cohen should get to spend his “prison” sentence at Disney World if he so chooses. To be clear, Cohen’s direct victims like Stormy Daniels and Karen McDougal should get a vote in this, and people like me should not. But Mueller can surely talk with them and factor that in accordingly. Donald Trump deserves to be spited, but this isn’t about spiting him. He’s trying to abuse his position as illegitimate President of the United States to punish witnesses who have testified against him, and to intimidate other potential witnesses against him. A clear message needs to be sent that Trump’s behavior must stop. Michael Cohen is the most helpful cooperating witness in the case. If Mueller decides to give Cohen a free pass, I’m all for it.